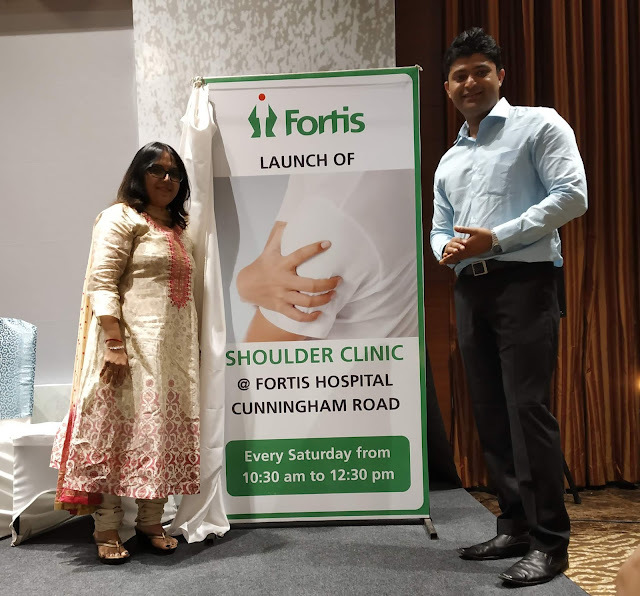 Bangalore, August 12, 2018: Fortis Hospital, Cunningham road inaugurated a specialised shoulder clinic facility today. The clinic is set up to provide best care for common sports injuries related to shoulder & knee. The special center was inaugurated by Dr. Chirag Thonse, Orthopaedic Surgeon, Fortis Hospital and Dr. Priya Sreedharan, Facility Director, Fortis Hospital, CG Road. The clinic expertise in all kind of diagnosis, treatment and research of injuries and conditions affecting the shoulder and elbow in order to provide precise treatment to the sportsperson. As part of the inauguration, doctors conducted a session for gym trainers and coaches, on anatomy of shoulder & knee, diet tips & tricks for sportsmen and trainers. Around 200 sports trainers and coaches from independent sports academy and fitness club attended the inauguration event. Dr. Priya Sreedharan Facility Director, Fortis Hospitals, Cunningham Road, said, “We are glad to have another specialty clinic at Fortis Hospitals, Cunningham Road. We hope this clinic will benefit the sports person and sports enthusiasts who are looking for specialized treatment. We always thrive to provide best care and facility at our unit”.